I always loved libraries. I was the odd kid that would hangout at the library after school. But this time around, I have a partner in crime that loves libraries just as I do(with some convincing on how cool it is to read). My husband and I almost always visit the library every 2 weeks (that's the loan time) to check out new books. You can renew books for one more week. And if you are late for 2 days, you are banned from taking out any books for 5 days (my experience). So far I have yet to pay fees on late books. I haven't asked whether they have fees or not though. The latest was 2 days late for me. Anymore I don't want to risk. 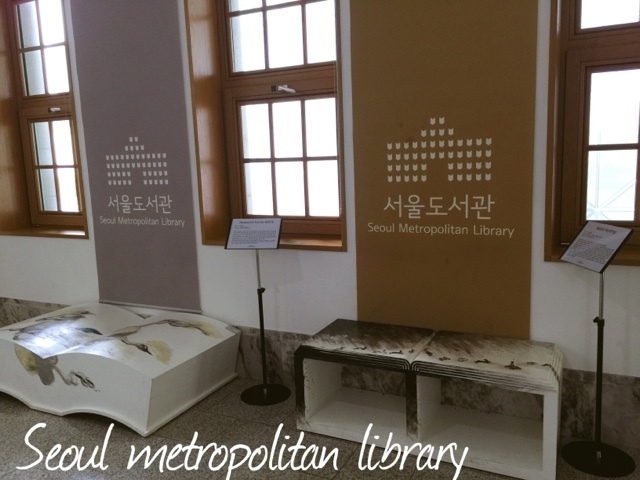 The seoul metropolitan library is located right at seoul city hall, well the old city hall. It's the older building that sits across from the round lawn space you see when they show city hall in the media. 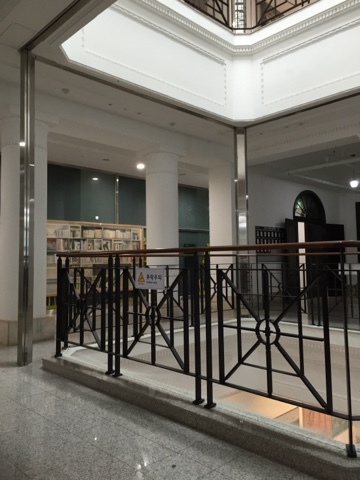 Get up to the 4th floor and you will see my favorite place, the modest room on the right side is where the foreign books are located - from English, Japanese, French, Tagalog, and more. Obviously the biggest selection are the English books, about 5~7 rows of books. Although not great in number, the quality of English books always surprises us. If you are a fan of "New York times best seller" - this library is for you. My fellow frugal folks will appreciate this place. You will save the 100% markup on English books in bookstores by borrowing a clean book here. They books are super cleaner than Korean library books - obviously you would guess correctly why. It's a nice quiet space. I have come to appreciate this library more over the years because they've gotten better in selection and providing new books as well. Pretty impressive to me. 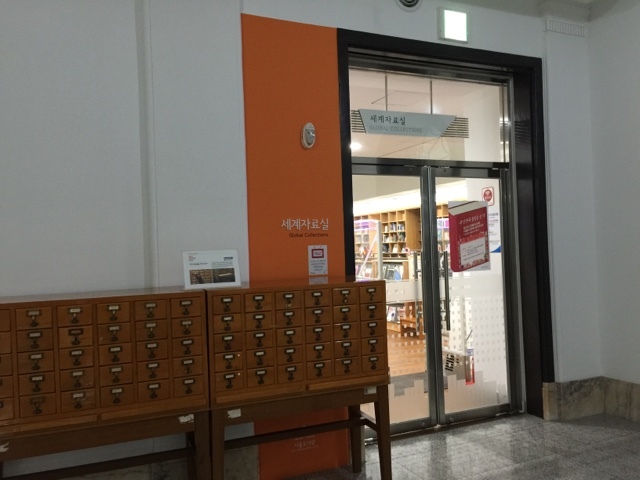 I guess considering how much Korea puts English skills as a necessity might explain the quality of this small foreign library here. Visiting this library is always a nice reminder of a tax well spent. It's also nice to see families and kids hanging around this part of the area. There's a lot of "free" activity and events here. The stream always seems to have some thing new going on every week - be it a market or a food festival. The City-hall "lawn" area has free concerts/events on the weekends. Things are pretty active here - and it's free and family friendly. 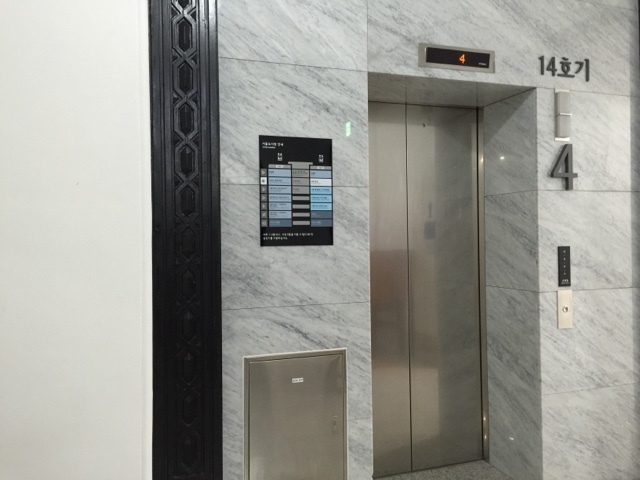 Amenities are also easy to access - restrooms, cafes, restaurants are everywhere. It's not over priced or busy like MyungDong or Hongdae. What can I say, this is our spot. If you want to stay indoors, I highly recommend SFC Mall (food court) to stay cool and eat comfortably at a chain like Bulgogi Brothers, or fancy Indian, Thair, or Spanish restaurants and take a breather at the cute and decent cafes inside. If you are serious about eating well - get to SFC to be safe. The area behind city hall and around is a quiet place to stroll and walk. My favorite cafe, cafe mamas, is located on this street. Have yourself a "kale and grapes juice" to give yourself a boost if you're worn out. 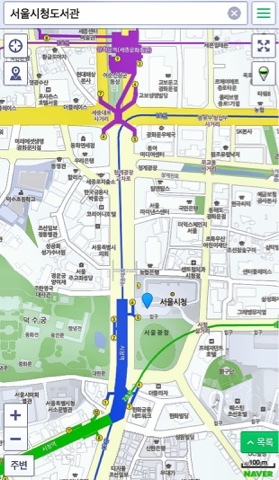 If you keep walking down, you will hit Cheonggyecheon and Gwanghwamun station. It's hard to get lost in this area. Don't be afraid to get lost because you might just find a gem! Seoul is not a "scary alley" city when compared to NYC. 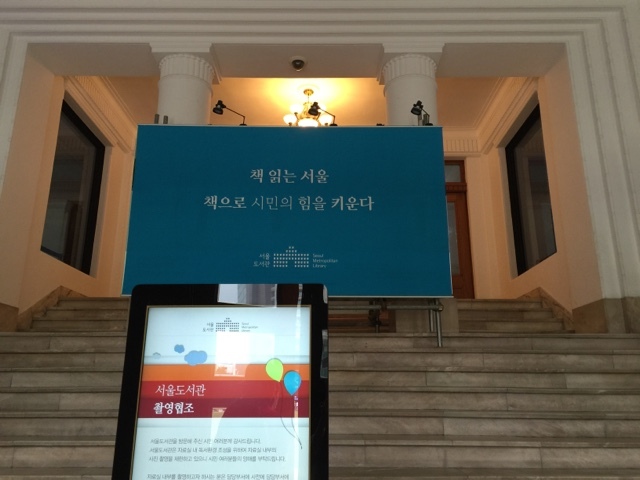 City-hall area is super safe and family friendly. 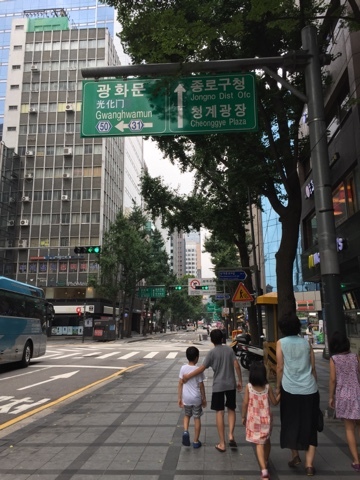 Actually Seoul really is not a hard place to get around or scary when you get lost, if you do just ask a passerby, or just keep walking a bigger street and perhaps you'll hit a subway station or two. Included is a map of city hall library with the blue arrow dot and the surrounding area. This area is a nice place to walk and explore because those subway stations that pop up every other block might be a good option in case you just want to skedaddle your way home to convenience.